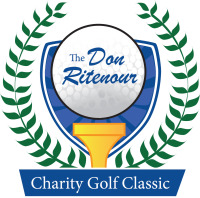 Despite the rain on May 21, the 23rd Annual Don Ritenour Charity Golf Classic was a huge success! The golf tournament enabled VHDA to give $20,000 to each of the following charities: CARITAS, Hope House of Scott County, Inc., Judeo Christian Outreach Center (JCOC), PACEM, Response Inc., Good Shepherd Alliance, Transitions Family Violence Services, and Hanover Habitat for Humanity. Associates will participate in the Hanover Habitat build coming this fall. Thank you to everyone involved in the tournament! Since 1993, VHDA’s golf tournament has made more than $1.9 million dollars available to many emergency shelters across the state. For more information about this year’s VHDA charity award recipients, visit the Golf Classic’s website.